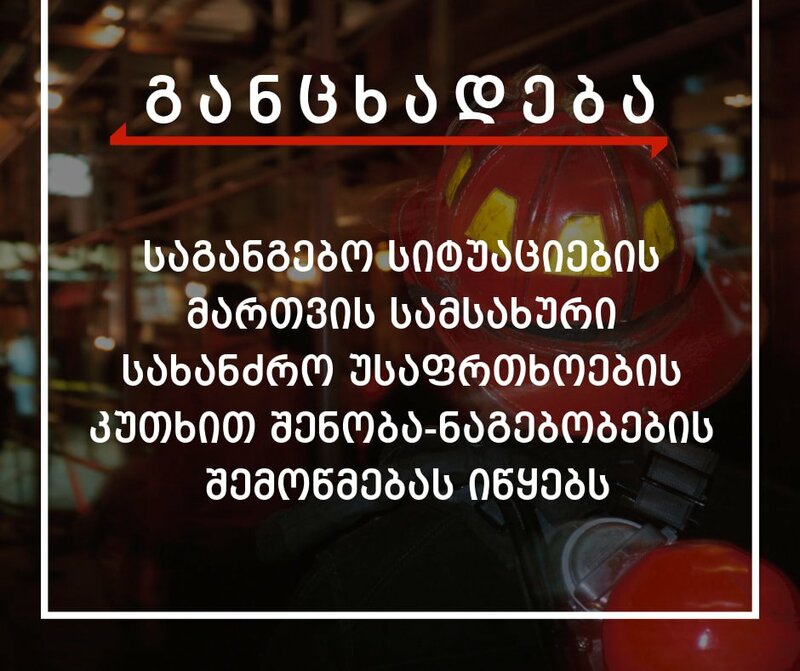 From February 14, the Emergency Management Service of the Ministry of Internal Affairs of Georgia starts inspection of buildings across Georgia in terms of fire safety. According to the Emergency Management Service, as a result of amending the Code of Administrative Offenses, almost all buildings were subjected to fire safety inspection and sanctions were significantly increased. According to the agency, the violation of technical regulations on fire safety requirements or its non-compliance provides for a fine from 500 up to 10,000 GEL.